Guest post by blogger Sam Hooper. It has long been a conceit of EU apologists and arch-Remainers that political union with Europe makes sense because we have "so much in common" with Europe, more so than with other countries, including those of the Commonwealth and the Anglosphere. I just feel European. I’m part of a generation that has had easy access to mainland Europe for both work and play. I like Penélope Cruz and Daft Punk and tiki-taka and Ingmar Bergman and spaghetti and absinthe and saunas and affordable trains. As sentimental as it sounds, Europe represents opportunity, cosmopolitanism, modernity, romance, enrichment, adventure to me. Cutting all that off — even symbolically — would feel both spiteful and arbitrary. It would be an irony more bitter than delicious, but could Brexit be having an unexpected effect on the people of Britain – turning us, finally, and despite everything, into good Europeans? The question arises because of a curious shift underway since the referendum last June. For many years, the intellectual bedrock of the Eurosceptic case was that there was no such thing as a European demos, no European nation underpinning what Eurosceptics believed was an emerging European super-state. The notion of a United States of America made sense because Americans were a true people, sharing a language and sense of common destiny. But a United States of Europe was absurd because Europeans did not see themselves as bound together in the same way. [..] But look what’s happened since 23 June 2016. Today, the Dutch go to the polls, an event that would previously have passed with not much more than a brief mention on the inside pages. This time, however, the same pundits and prognosticators who last year obsessed over Trump v Clinton have directed some of that same energy to the battle of Wilders v Rutte, trading polling data on social media and arguing about the meaning of the latest move by the rival candidates. Never has the pro-EU establishment media's bias been on more blatant display than in this piece of self-regarding bubble-ese by Freedland. British public interest in the Dutch, French and German elections, to the extent that it existed at all, was driven almost entirely by weepy Remainers who took a short break from quoting Yeats on their social media timelines ("Things fall apart; the centre cannot hold") to vest their hopes in would-be saviours like Mark Rutte and Emmanuel Macron. If we can agree that the man on the street - the kind of normal person with a life, who doesn't spend every waking moment obsessing about politics - probably does not think much at all about the politics of other countries, then we should also be able to agree that those who are even slightly politically aware are far more likely to know about American politics and current affairs than those of various European countries, large or small. Doubt it? Then simply watch the television or print news coverage on any given day. Only this week, British television news bulletins have been dominated by the ongoing feud between Donald Trump and various players and executives of the National Football League who have taken to kneeling during the playing of the US national anthem as a show of solidarity with the Black Lives Matter movement. NFL players knelt down during the national anthem in protest at Wembley. As well as featuring prominently ahead of domestic news stories in British television news bulletins, this tiresome culture war episode also seems to be exercising the minds of British political pundits and armchair moralisers up and down the country. What comparable domestic political spat or policy debate in a European country would receive comparable press coverage in Britain? The answer is obvious: none. There is no other country whose day-to-day politicking is obsessed over by the British media and known by the UK populace in more detail as the United States. This is not merely a function of us sharing a common language - do the self-proclaimed "Citizens of Europe" really believe that British people would be fascinated with German or Portuguese politics if only we were not cruelly divided by language? Nor is this a natural function of America's hegemonic power making their every decision impactful on Britain - indeed, the rituals of American football could not be of less importance to the United Kingdom, nor concerns about police shootings of civilians in a country where most of the police are unarmed. Our deep interest in American news is primarily cultural, not borne out of any informational necessity. This is not an argument for Britain to become the fifty-first state of America rather than the twenty-eighth state of a United Europe; it is merely to point out that cultural affinity - which is arguably much stronger between Britain and the United States than Britain and Europe - does not automatically recommend (let alone necessitate) political union between countries, while enforced political union between diverse states does not necessarily ensure that a corresponding cultural merger will occur to form a coherent, cohesive demos. And culture aside, economic interdependence likewise does not mandate political union, as the United States and Canada, the United States and Mexico, Australia and New Zealand as well as the United Kingdom and the Republic of Ireland can readily attest. Economic alignment and interdependence is a necessary condition for political union, but not nearly a sufficient one. Indeed, the history books are littered with examples of such grand enterprises - using economic interdependence or geographic proximity as an excuse to force political union on an unwilling or ambivalent population - failing miserably. In recent history we need think only of the Soviet Union, which sought to achieve through terror and totalitarianism what the European Union today seeks to bring about with the aid of technocracy, managerialism and corporatism - using anything as an excuse for more political integration except a full-throated cry from European people to be part of ever-closer union. It is this ever-closer union which we are seeking to leave, as evidenced by the Lord Ashcroft poll taken in the immediate aftermath of the EU referendum, showing that the primary motivation for the Leave vote was a desire to reclaim sovereignty and democratic accountability. It was the continual efforts of political elites in Britain and Europe to build a political union spanning dissimilar cultures, in direct contradiction of this desire and without specific democratic consent, which ultimately made Brexit inevitable. The EU's "if we build it, they will come" approach to legitimising itself - creating institutions and giving them vast powers at the expense of the nation state, all in the hope that a European demos will magically appear in a puff of smoke - is pure wishful thinking. And as EU and member state political elites insist on responding to growing public dissatisfaction by pledging "More Europe", they will only create a bigger and more unsavoury backlash, yet they seem unable to envisage taking any other course of action. None of this is to insist that Britain should continue in its current form for a thousand years, or that the nation state remain the basic building block of human civilisation in perpetuity. 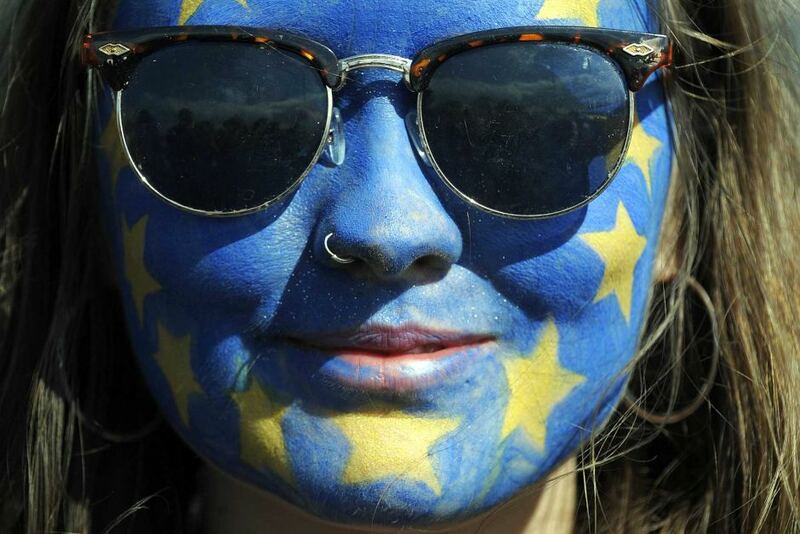 But in the age of universal suffrage there is no good reason why we should continue to blindly execute a dated, anachronistic 1950s blueprint to fulfil a century-old aspiration of European political union when we should instead be creating new systems of meaningful international cooperation which work with human nature rather than struggling obstinately against human nature. Institutions which enjoy sufficient public support that they can operate in the light rather than work in the shadows, relying on voter ignorance. Democracy means more than the existence of universal suffrage, elected legislatures and executive offices. These things are a necessary condition, but they mean very little if the demos - the body of people whom the institutions purportedly serve - does not also see itself as a cohesive demos. If Britons were suddenly able to vote in Japanese elections, and share political institutions with Japan, a cohesive British/Japanese demos would not automatically pop into existence sharing a common culture, concerns and aspirations. The same goes for the attempt to create a European demos by imposing a parliament, flag and anthem. This is why Remainer protestations that the EU is "no less democratic than Westminster" are ignorant at best, and deliberately misleading at worst. While some starry-eyed euro-federalists clearly do see themselves as European first and foremost, they are incredibly lacking in number, and certainly nowhere near a majority. And until this changes there can be no European demos of sufficient strength and depth to sustain the kind of powerful, permanent institutions mandated by the EU. This is where we must at least partially defer to human nature in this regard, and that's why it is ludicrous to maintain that a political union including Britain and Lithuania could long survive when none can exist between Britain and Australia or Britain and the United States. And that is why one Guardian columnist's love of Daft Punk and Penelope Cruz movies can never provide a strong enough foundation to hold aloft the European Commission, the European Parliament, the European Court of Justice and all the vasty institutions of Brussels.